Semolina is a product of wheat milling that is created when the wheat kernels are processed using corrugated cast-iron rollers. 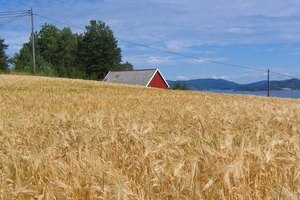 During this phase of wheat milling, the bran, germ and endosperm are separated and the endosperm breaks into coarse grains. These coarse grains are called semolina and can be further processed to produce wheat flour or used as is in the production of many food products. Semolina is off-white or yellow, depending on the variety of wheat it was made from, and resembles coarse sand in texture. The particles are typically between 0.25 and 0.75 mm in diameter. Semolina must be simmered slowly to allow the entire particle to cook through without the outer portion dissolving. The term semolina is also used to refer to certain dishes cooked with semolina, including a British milk pudding. The most common types of semolina are farina and durum semolina. Farina is made from soft wheat kernels and is the main ingredient of the hot cereals Cream of Wheat and Malt-O-Meal. 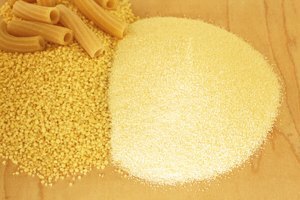 Durum semolina is produced from the hard red wheat berries (winter wheat) and is used primarily in the production of dry pasta. 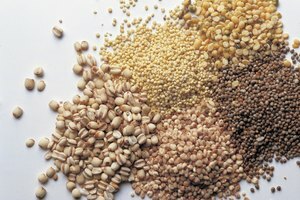 Products with a similar texture to semolina but made from different grains are occasionally referred to as semolina--corn semolina or rice semolina. Semolina is used for a wide variety of purposes, including hot breakfast cereals, pasta production, desserts, artisan breads and cookies. Durum semolina is occasionally used as an ingredient in homemade, fresh pasta in a ratio of one part semolina to two parts all-purpose flour; this produces a chewier pasta that can better withstand rapid boiling and passes more easily through a mechanical pasta maker. Semolina can also be used in place of cornmeal to prevent sticking of bread and pizza crust. Semolina is used throughout the world for many culinary applications. In the United States, it is mainly used for the manufacture of pasta and hot cereals. In Italy, semolina is used not only for pasta, but to give breads, cookies and desserts an unusual and appealing texture. In the Middle East, cakes flavored with lemon and almonds or pine nuts and sesame are made from semolina. Semolina is also used to make a savory South Indian dish called rava dosa that resembles a thin pancake but does not contain eggs. Pasta and hot cereal made from semolina in the United States are typically enriched with iron and folic acid. These nutrients are very important for good health, particularly in pregnant women, but are not found in sufficient quantities in a typical American diet that does not include enriched foods. 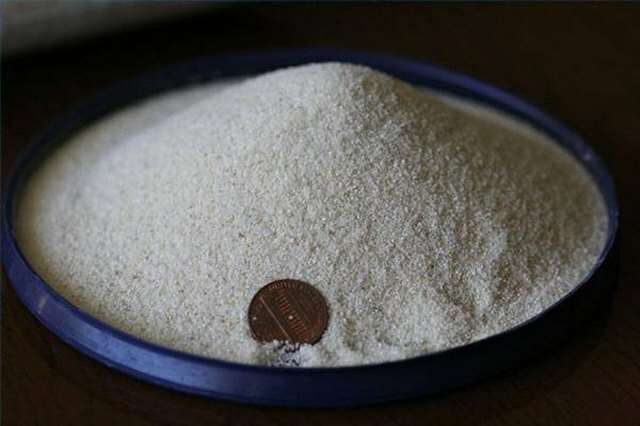 All semolina, regardless of whether it is enriched, contains several important B vitamins; durum semolina is also very high in protein for a grain product. Semolina contains no fat or cholesterol and is very low in sodium.